Canon has reported that EOS Utility will not start when used with Mountain Lion, Apple's latest operating system (OS X 10.8). An update to EOS Utility will be issued later in the year to fix this issue. Canon expands its EOS range with the launch of the EOS M. This is the company’s first compact system camera (CSC). It offers DSLR-quality imaging, creative features and Full HD movie creation in a compact and easy-to-use model. Canon says that the EOS M is for enthusiasts who chronicle their lives through images without necessarily considering themselves to be photographers. Canon is introducing new photo printing software solutions. A new Facebook application, 'Print Your Days' makes it easier to enhance and print photos directly from the site without the need for any additional software. The app, available online via Facebook, includes tools which allow you to automatically adjust photo layouts and create unique collage prints with up to five photos printed on a page. It also provides a range of style and editing options, including borders, cropping and the ability to add captions as well as colourful photo effects, such as sepia tone for a popular vintage look. A selection of 24 colourful backdrops can be chosen to decorate the background of a collage, ranging from fun spots or stripes to more natural effects such as grass or cork. 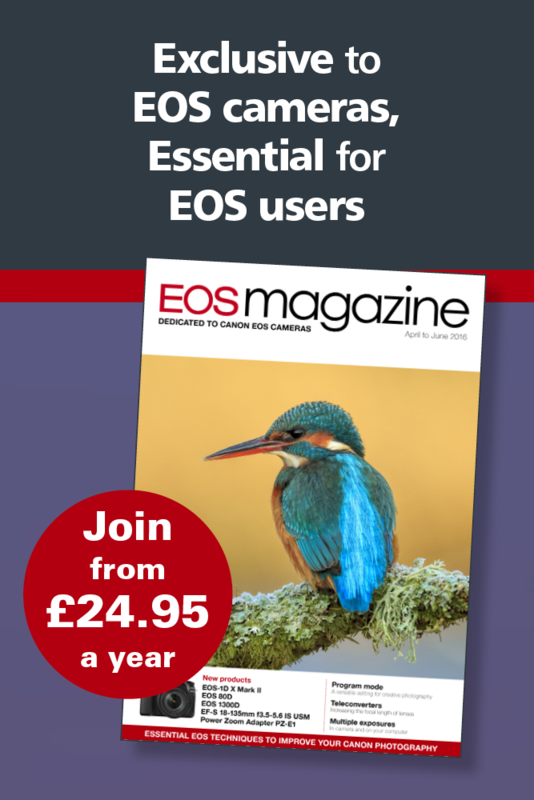 Canon Europe has posted two notices about issues with the new EOS 650D camera. Canon has indentified a phenomenon in which the camera model name embedded in the EXIF data of captured images incorrectly shows 'EOS Kiss X6i'. This is the model name for the EOS 650D in the Japanese market. Even if this occurs, the image taken is still captured correctly. Some units with '3' as the second digit of the serial number are affected. Click here for further information. Details of Canon Service Centres are provided if the camera needs to be returned for repair. A free repair service begins on 17 July 2012. A further delay to the start of mass production means that the EF 24-70mm F2.8L II USM lens will now be available from September 2012.